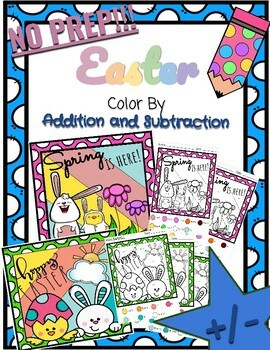 Review addition and subtraction and have some holiday fun with this Easter Color by Addition and Subtraction. 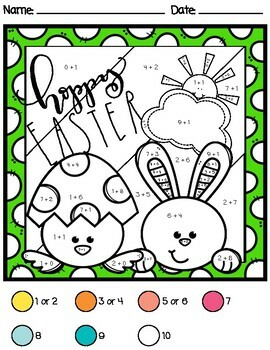 Download these easy FREE NO PREP worksheets and use them in math centers, as a morning warm up, or for early finishers! There are 2 worksheets for each picture with answer examples (so you don't have to make models ;-D ). 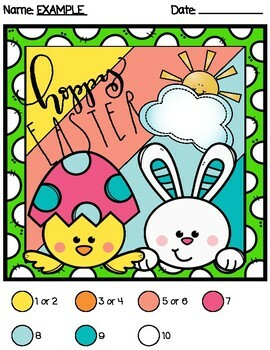 Also includes two different addition worksheets. One for 1-10 sums and one for 1-20 sums.